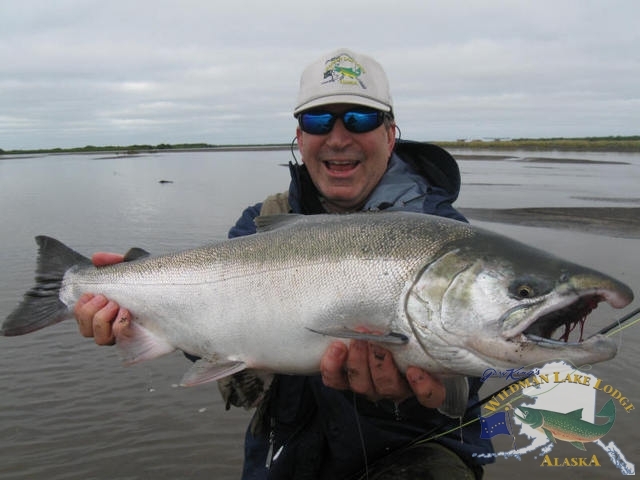 Alaska Salmon Fishing Trips at Wildman Lake Lodge include incredible local river fishing for salmon, trout and char, PLUS; exciting Fly Out Salmon and Steelhead Fishing Trips to neighboring rivers. 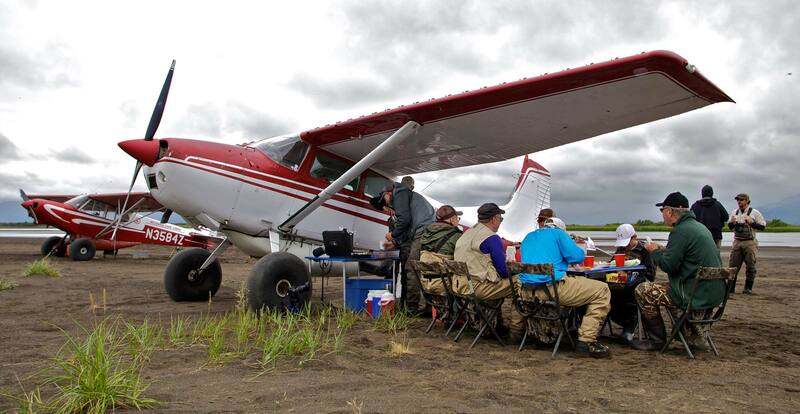 Flying with our experienced Alaska Bush Pilots and fishing guides,in quest of wild Alaska Salmon and Steelhead, adds even more variety to your fishing vacation. 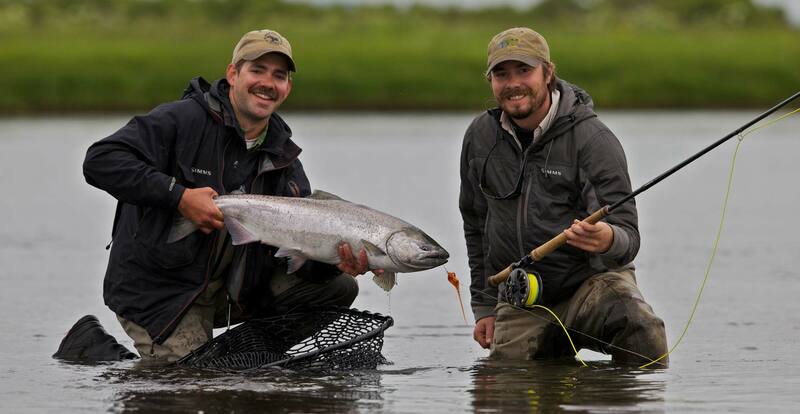 Wildman Lake Lodge is situated near the headwaters of Ocean River, Alaska's ONLY pure artesian sport fishing river. Our gin clear home river is teaming with Arctic Char and Dolly Varden up to 14lbs and more salmon than you can shake your rod at; Sockeye, Chum, Pinks and unbelievable numbers of Silvers. However, variety is the spice of life and that is why we fly 1/2 of our guests out everyday, to see new country and fish different waters, while the other 1/2 of our guests explore the wonders of the Ocean River System. Wilderness sport fishing rivers like Ilnik River, Wildman, Willy and Fracture Creek are,all accessible by Jet Boat from the lodge. On your fly out fishing days, Wildman's experienced Alaska bush pilot-guides will target specific salmon runs in our neighboring rivers and clear-water streams. Enroute, you will fly over the remote Alaska wilderness, seeing brown bear, caribou, wolves and moose, from the comfort of our DeHavilland and Cessna aircraft. 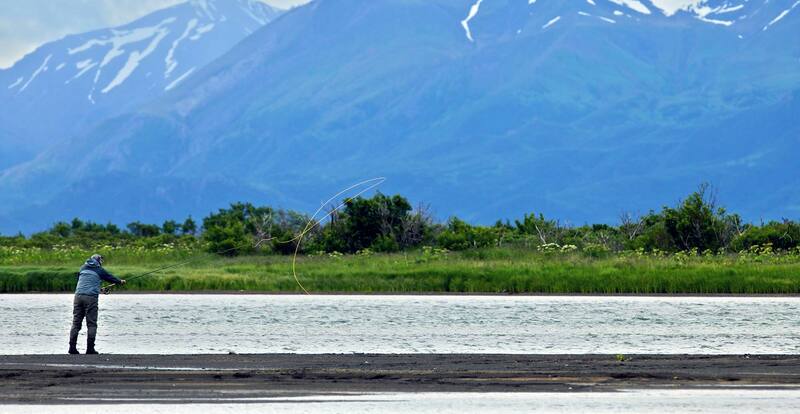 Your fly out fishing days will surely be one of the many highlights of your Alaska fishing vacation at Wildman Lake Lodge. With in twenty-five minutes flying time from Wildman Lake Lodge, we have a number of remote salmon streams. We feel it important to spend your day fishing, not flying. 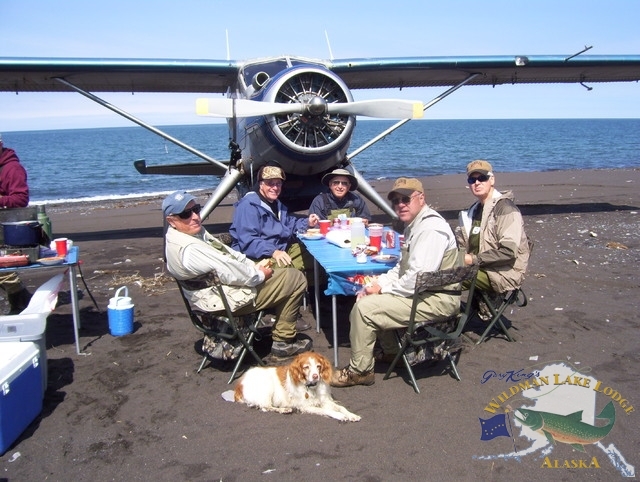 Whether you enjoy fly fishing or if spin-casting is your specialty, our bush pilot-guides have years of experience on the Alaska Peninsula and know exactly where the best fishing will be found, at any particular time of the season. We have jet boats on several remote rivers and in other places we are able to wade or bank fish right where we land the airplanes. Little or no walking is necessary to get you into the very best fishing available. We take along folding tables, chairs and cook stoves on your fly-out fishing days. The guides will cook up a delicious shore lunch, right on the banks of the river, featuring "the catch of the day," or hot sandwiches, hearty soups & chowders. Every shore lunch includes great salads, assorted chips, fresh baked cookies and your choice of beverages. On the river it is important to have something hot for lunch every day and plenty of goodies.